Size 4,10,11,12 currently out of stock. 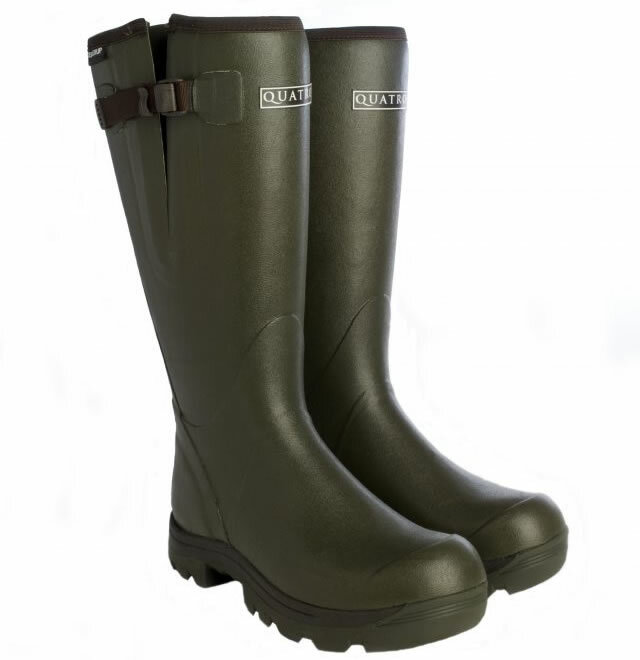 The Quatro Sport is the latest boot available from Skellerup Footwear and the first country sport boot in the Skellerup range. The Quatro Sport takes the high levels of comfort and reliability enjoyed by all Quatro wearers and pairs it with a more refined and stylish look suitable for all country pursuits while still being hardy enough for farm work. 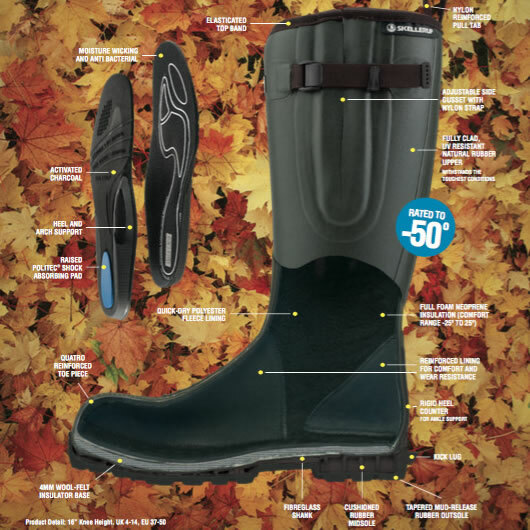 •Ergonomically designed for to lock in the foot. •Moisture wicking lining to keep your feet dry. •High abrasion, cupped rubber outsole. •4mm neoprene fleece insulation tested to -50 °C.